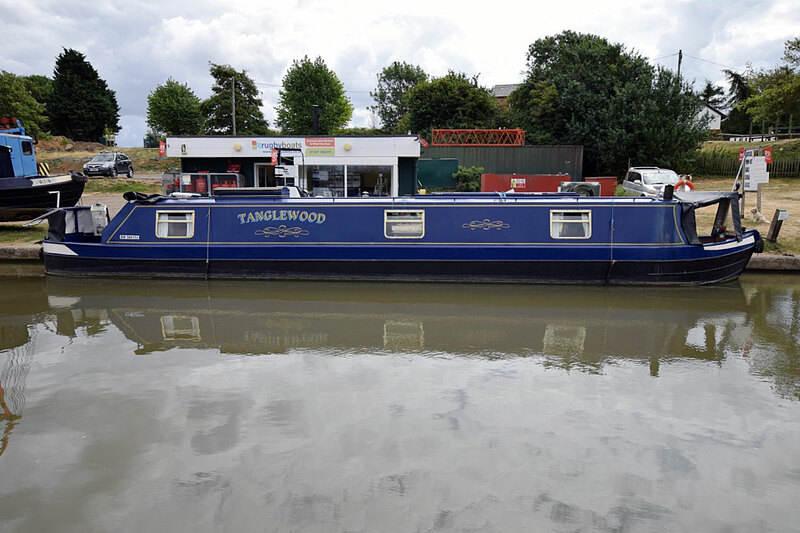 Tanglewood – 50′ 1999 Cruiser stern Hallmark Narrowboats – oozes charm and personality. She was built in 1999 by Hallmark Narrowboats and fitted out very nicely by her original owners. She has been looked after by the current owners for the last 14 years. The well deck has a very good condition cratch cover over and leads into the large 14’ saloon / dining area. The big sofabed sits opposite the TV connection point and table with the Boatman stove alongside, and next to it is a dining area with a removeable table and two seater couch (with calorifier under). A very social area. The galley follows; in here are housed the 4 burner gas hob, oven & grill, the 12v fridge, the sink and there is no shortage of storage with under-gunwale cupboards on the starboard side along two thirds of the boat! Off the short corridor on the starboard side is the shower room with Thetford cassette loo and ceramic counter top basin, and this corridor leads to the aft cabin which is the bedroom. A good sized room at 9’ long, the fixed double berth has ample storage under, a large double wardrobe at the head end and cupboards at the other. The rear doors lead onto the cruiser stern deck under which is housed the well maintained Vetus engine. A spacious, easily collapsible pram hood offers protection from the elements. Central heating and hot water on board is from the Alde gas boiler; on board 230v electricity comes from either the landline or the 1600w Victron inverter. Tanglewood is in really lovely condition and is a beautiful boat to handle; she turns virtually on a sixpence! She feels more spacious than many 50’ narrowboats and is perfect for either living aboard or a holiday boat; with her pine tongue and groove fit out, she has a lot of character.